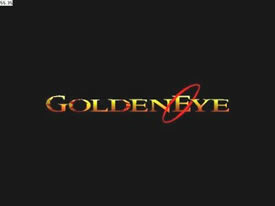 GoldenEye 007 is a 3D action game with very realistic graphics and intelligent gameplay. 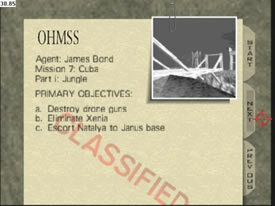 You are James Bond, also known as secret agent 007, and as you start this game you have 20 missions in front of you. 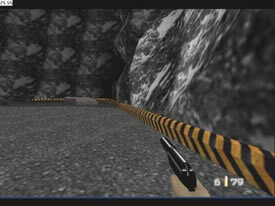 GoldenEye 007 is graphically one of the best games that I've tried on UltraHLE. It doesn't really come close to Zelda, but it's still great. The characters are very realistic and the detail level is high. The sound effects are very good and real. The sound skips and the graphics gets pretty slow when you are attacked by a lot of people, but otherwise it's great. The music is very good too, and you can even turn it off if you want to. Definitely one of the best 3D action games, since it's not raw action all the time like Doom where you just run around and wipeout everything within 50 feet. Instead you need to think before you act, or you'll set the alarm off and you'll have 25 people trying to kill you within ten seconds. Something very important for a game to be a good game is addiction. Without it, you quickly loose your attention to it. 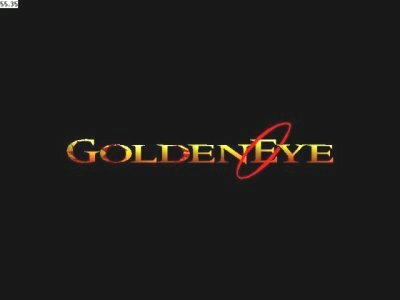 GoldenEye 007 has addiction, and a lot of it. I've stayed up too late too many nights, just because I wanted to finish one more mission. The missions are very variated, everything from using the camera to photograph a satellite, to escape in a plane. You can even drive a tank, and I tell you one thing, you feel pretty powerful with 60 tons of steel under your seat. Overall GoldenEye 007 is a very good game, one of the best I've tried with UltraHLE.